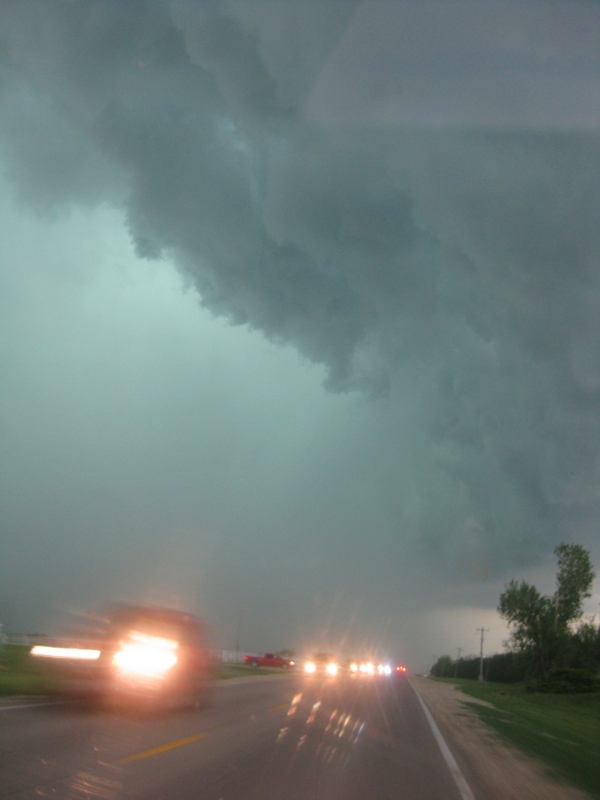 MIDWEST - STORM CHASING AND MORE! OK 8 crosses Driftwood Creek near the Kansas line. What's interesting here is that on both the right and the left, there's side roads that go over intermittent creekbeds that run immediately parallel to the arrow-straight OK 8. 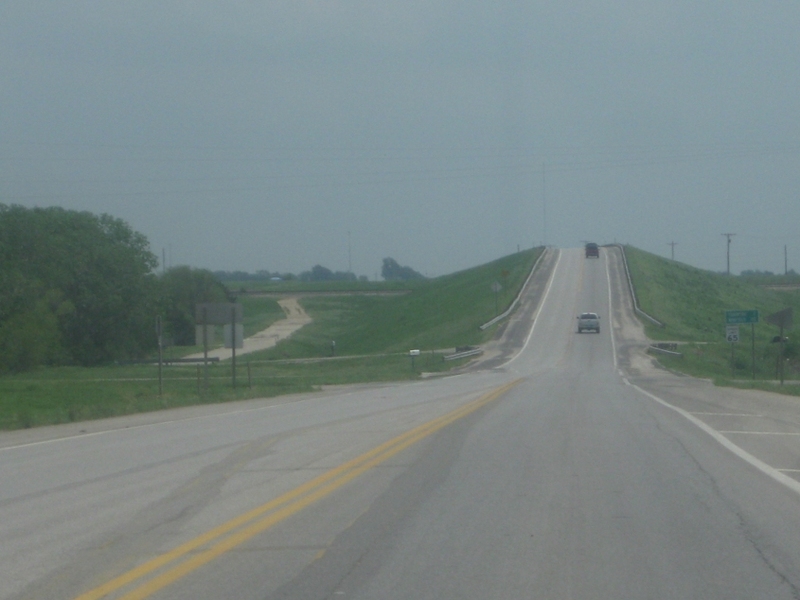 US 81/160 in Wellington, KS. 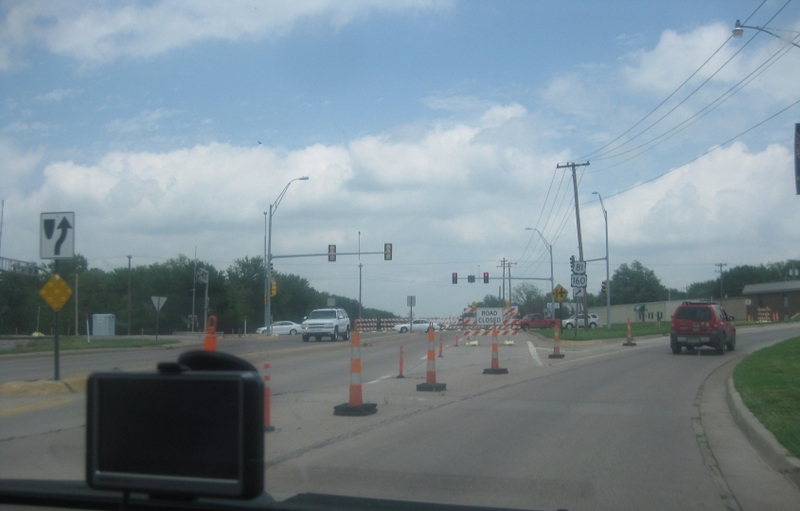 I don't know what the road closure is for. 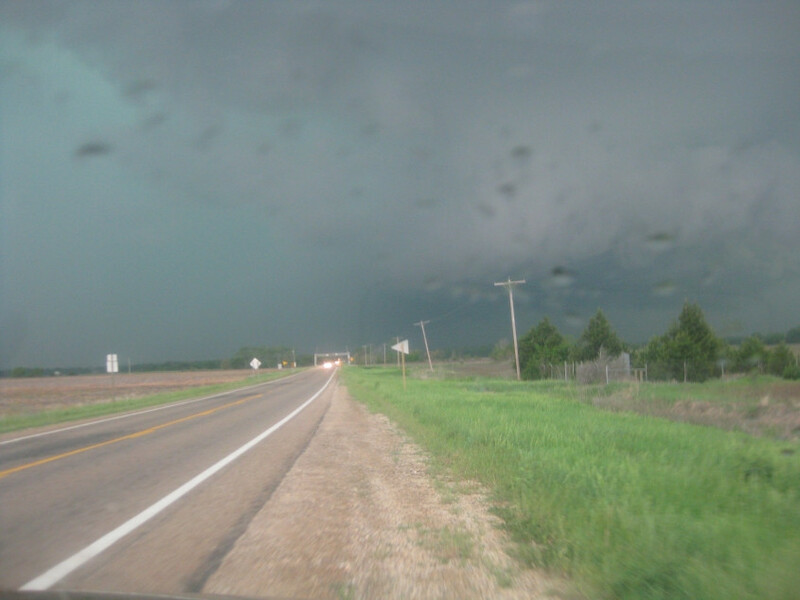 US 160 east of Wellington. 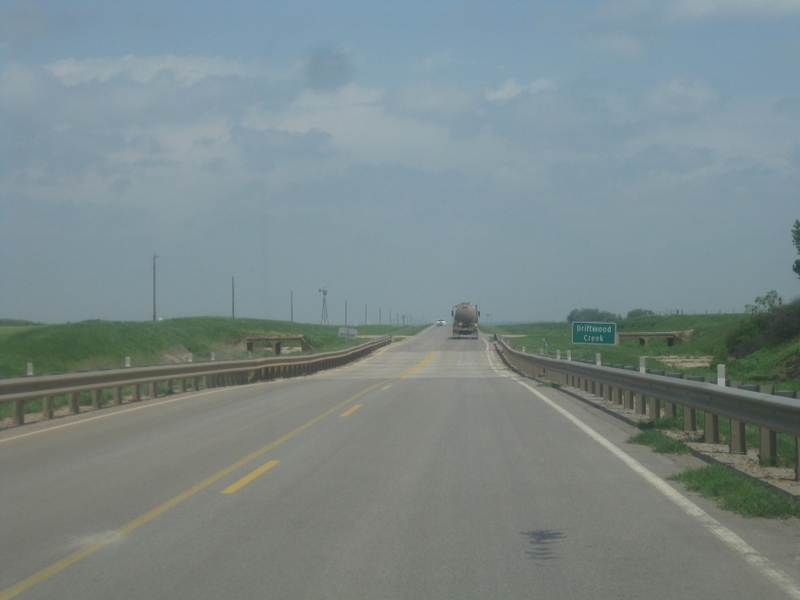 US 160 goes over a rail line up ahead, and I'm reasonably sure the smaller road at left that hits the rail line at-grade was the old US 160. 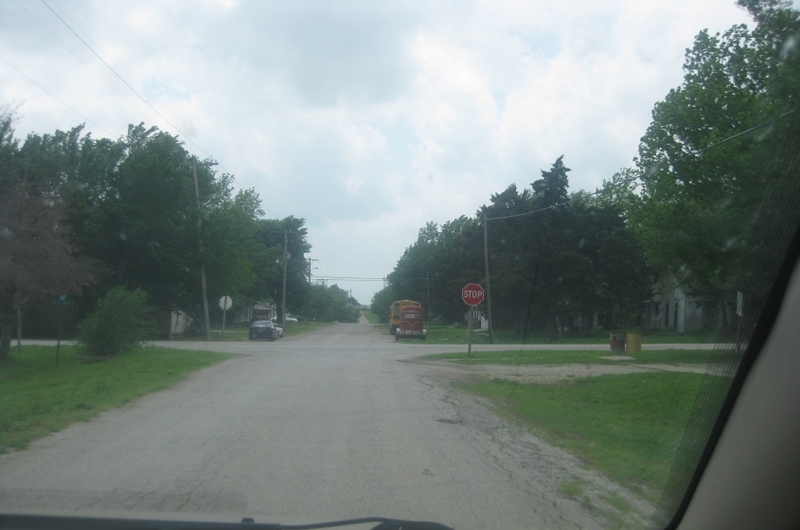 US 160 uses 9th Avenue in Winfield. But where are the storms??? Maple Street in Cambridge. 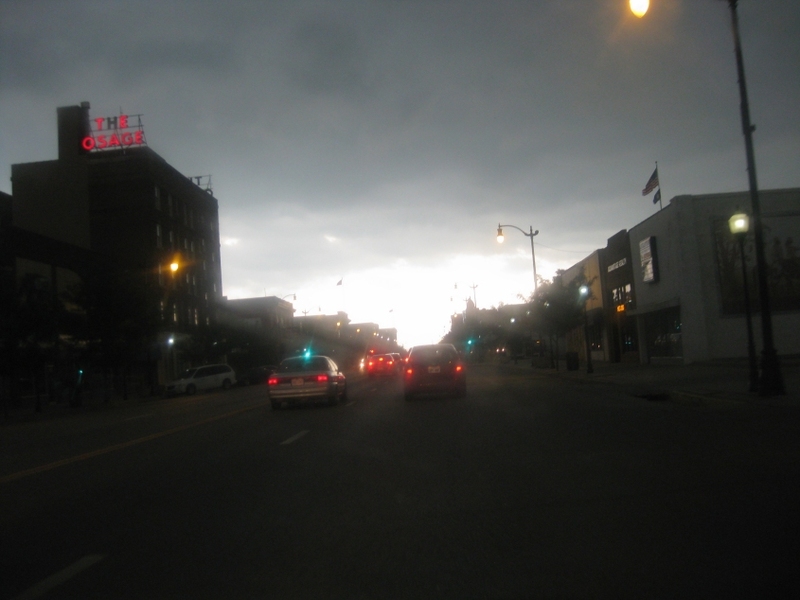 I think this is where it looked like a guy was gonna yell at us because we parked there so we could plan how to chase the next storm. 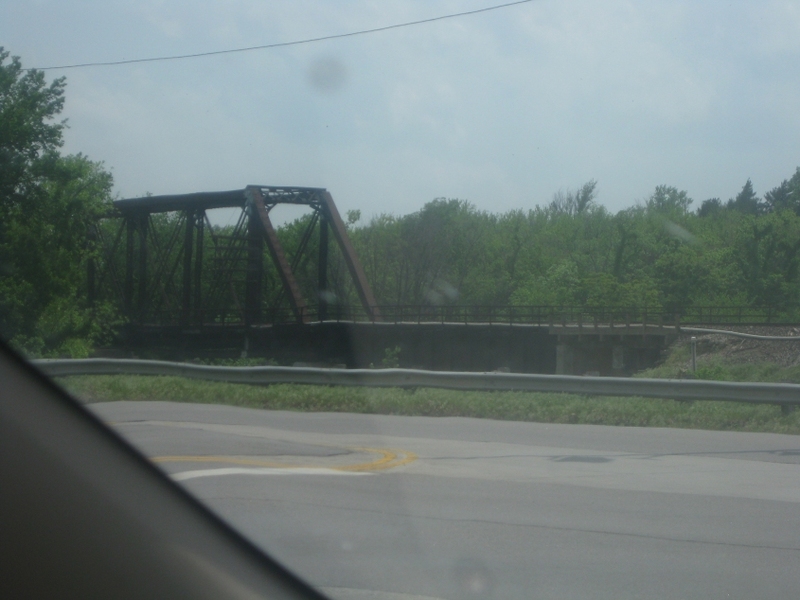 As US 77 crosses the Walnut River in Winfield, an old rail bridge sits right beside it. 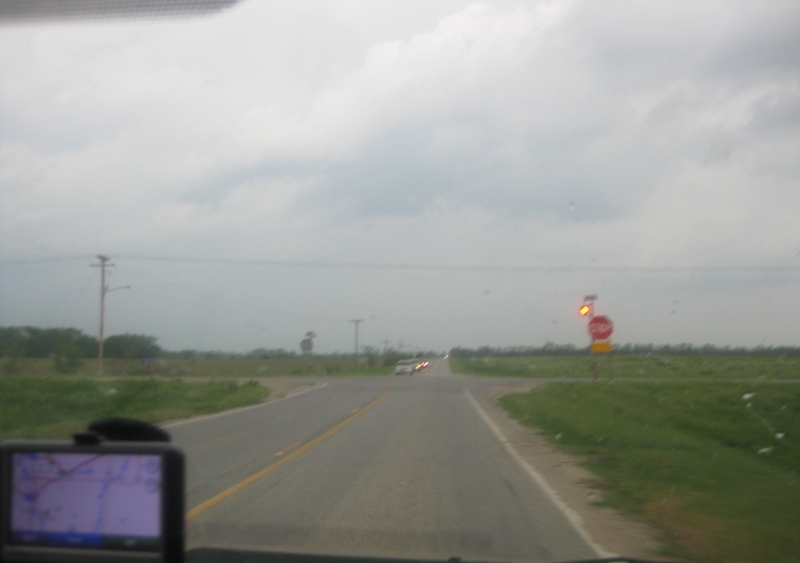 US 77 crosses 81st Road near Winfield. 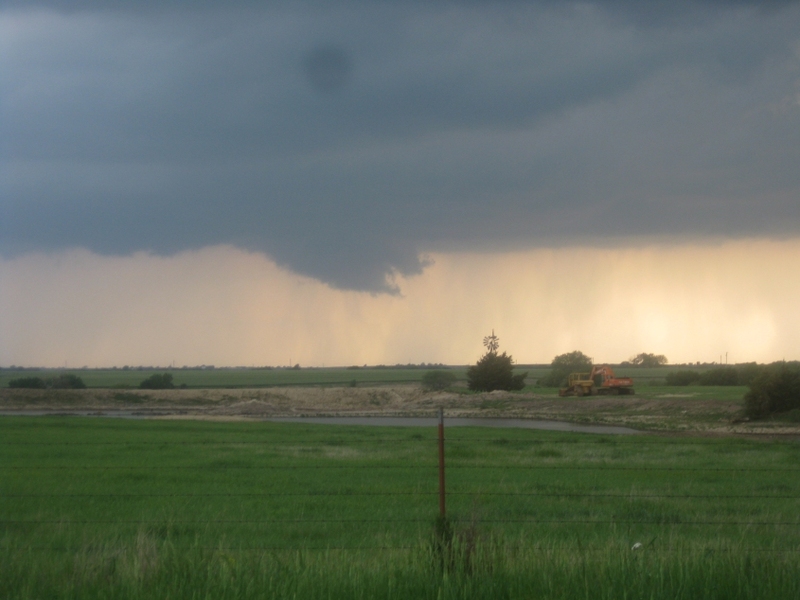 We tried chasing the big Wichita area tornado, but the payoff was limited. 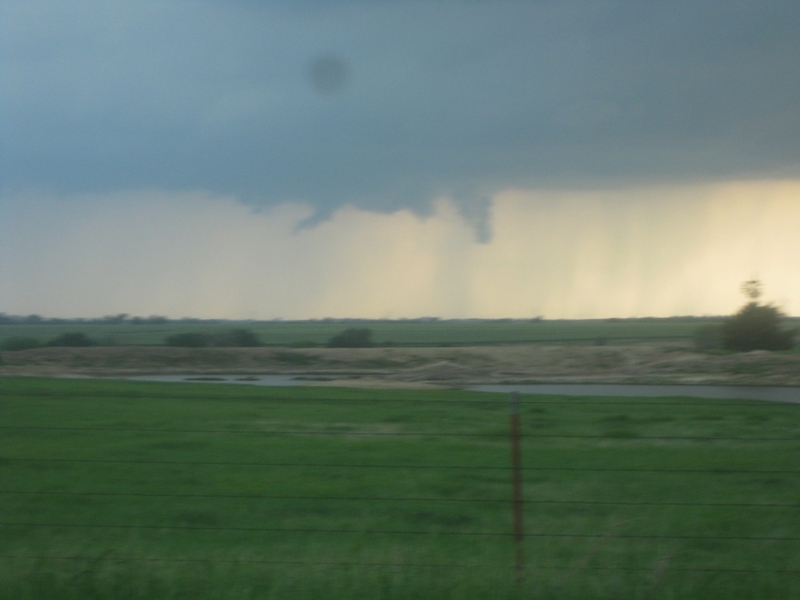 I'm guessing this is KS 15 near Udall. South of Rose Hill, this is SW Butler Road at SW 210th Street. This looks downright menacing. 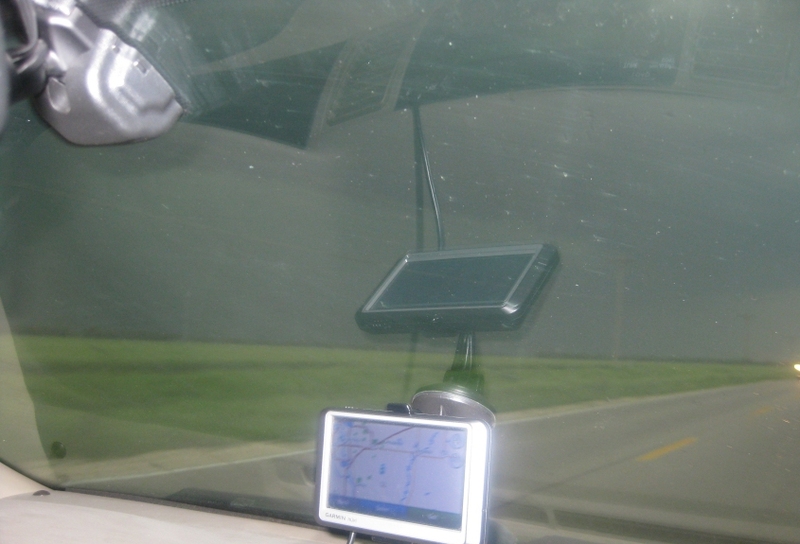 But - as with some other storms on this trip - our attempt to see the most spectacular part of the storm was stymied by unacceptably weak phone coverage and by radio stations all being owned by one company and broadcasting the same inadequate information. That costs lives. 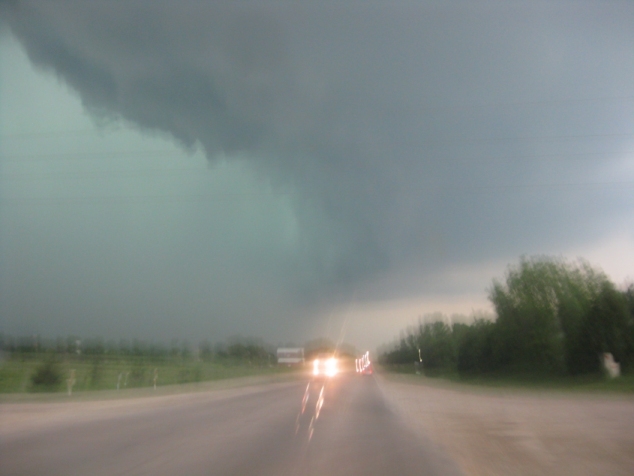 Here we see a clear line in the clouds evocative of severe weather. This too. 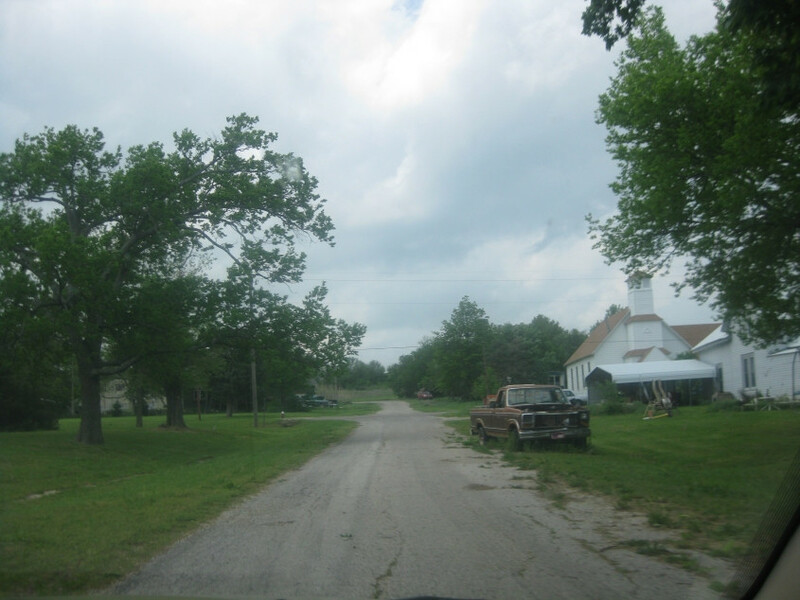 I think most of the photos through here are on what's alternately called SW Butler or Rose Hill Road. A scarier photo of the cloud layers. Another picture to frighten you right off your seat! 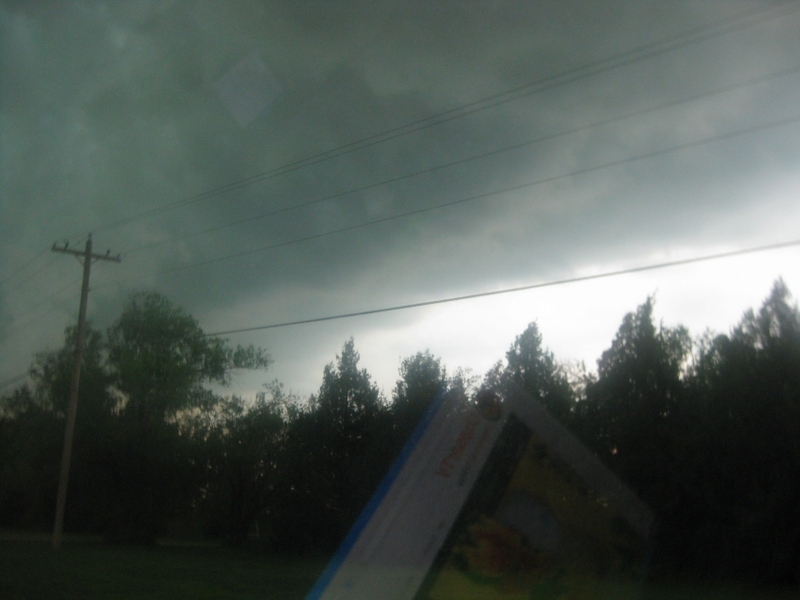 We were actually very close to the tornado. 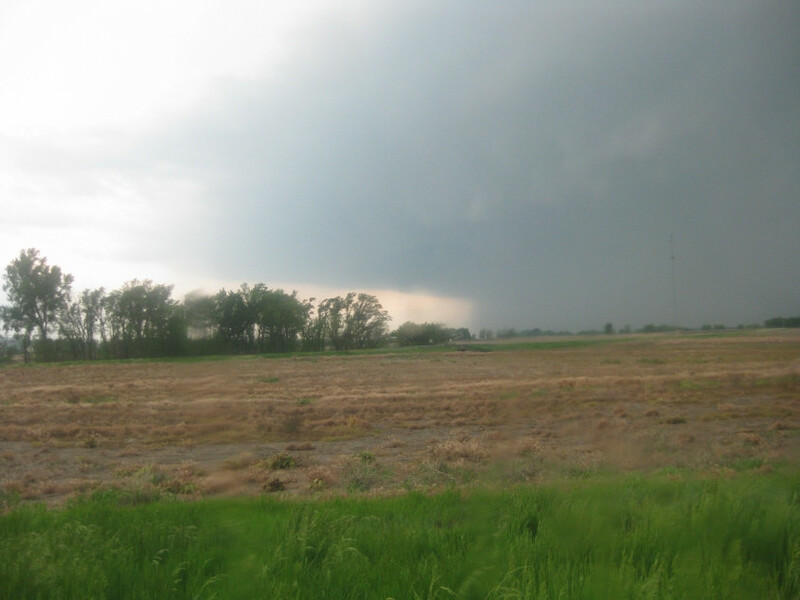 But we couldn't see the tornado itself because it was rain-wrapped by the time we got to it. And more. 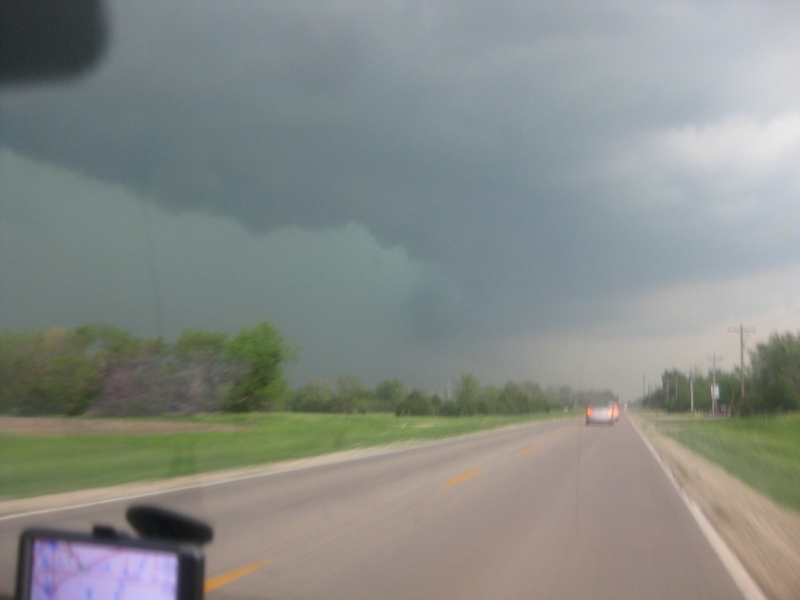 This is west on KS 15, just west of US 77 near Udall. 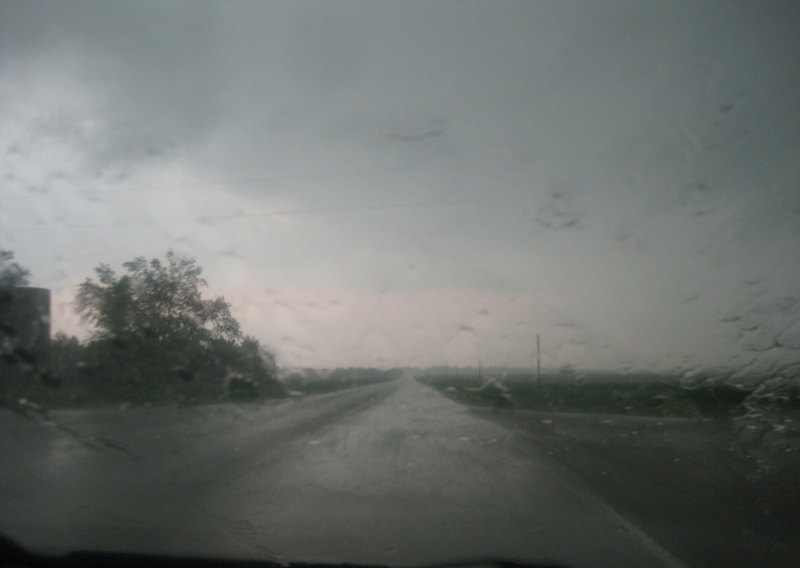 From that same location on KS 15, this is a feature film of a hailstorm - the biggest I've ever seen! 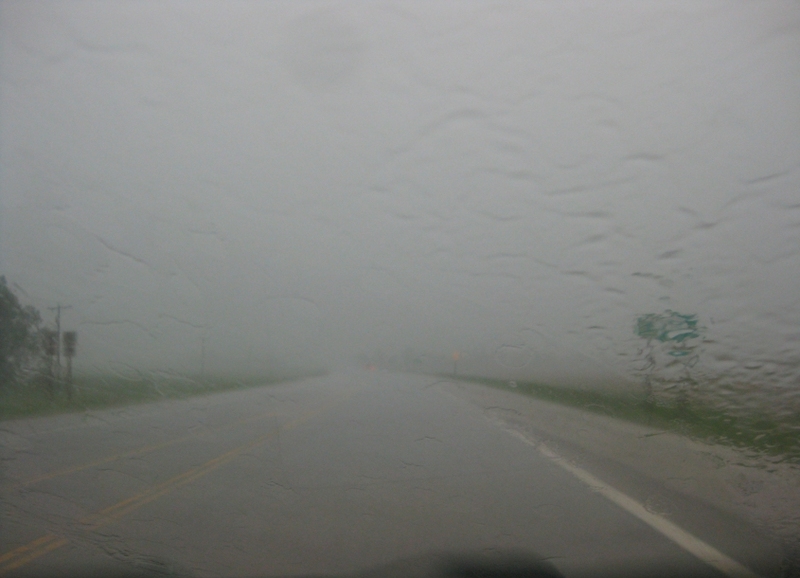 But storm chasers were watchin' it. 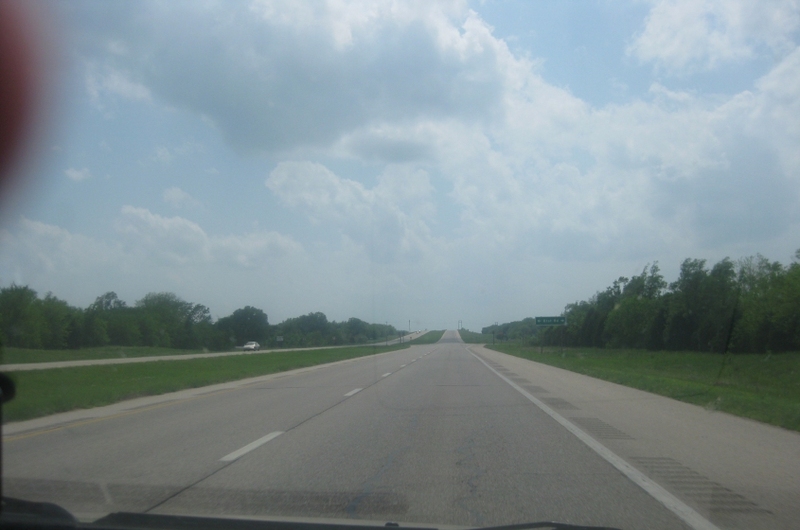 We're probably back on US 77 here, though KS 15 merges with it to Winfield. 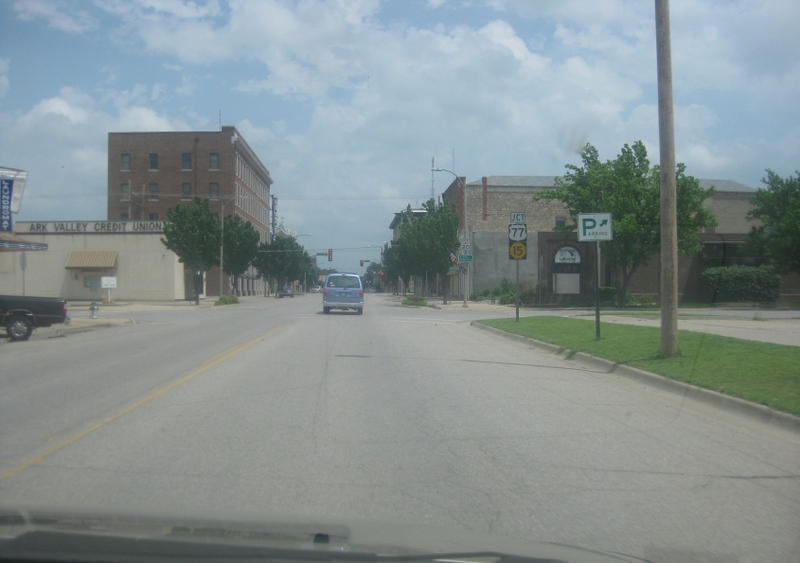 US 77 uses Main Street in Winfield. 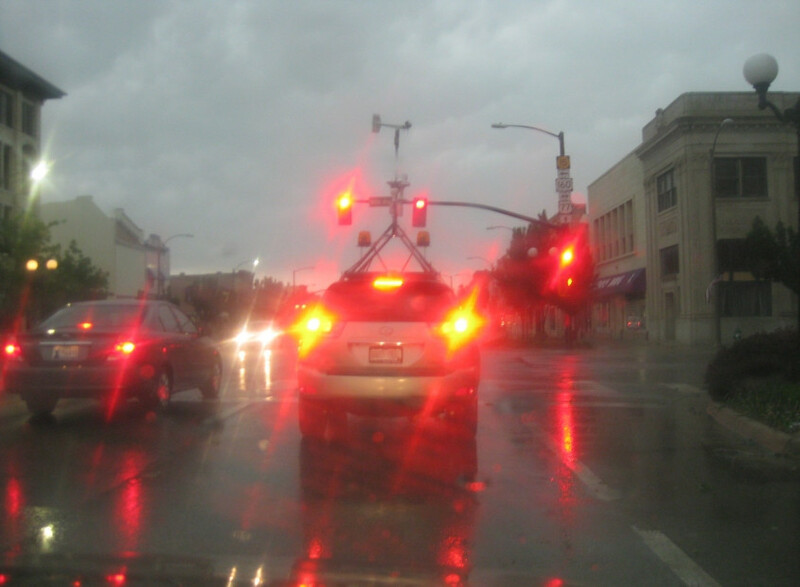 In downtown Winfield, we see this storm chasing vehicle out bippin' around. 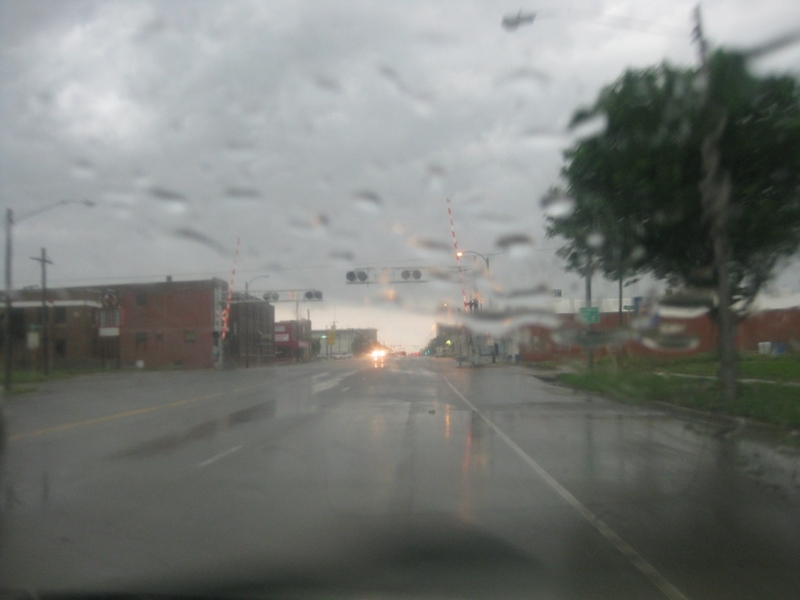 Summit Street in Arkansas City. Somehow we ended up on old US 77 through town instead of the newer US 77 bypass. According to Wikipedia, Arkansas City isn't pronounced like the state of Arkansas: It's pronounced like Kansas with "ar" before. That's because it's Ar-Kansas, your Kansas, we all Kansas. 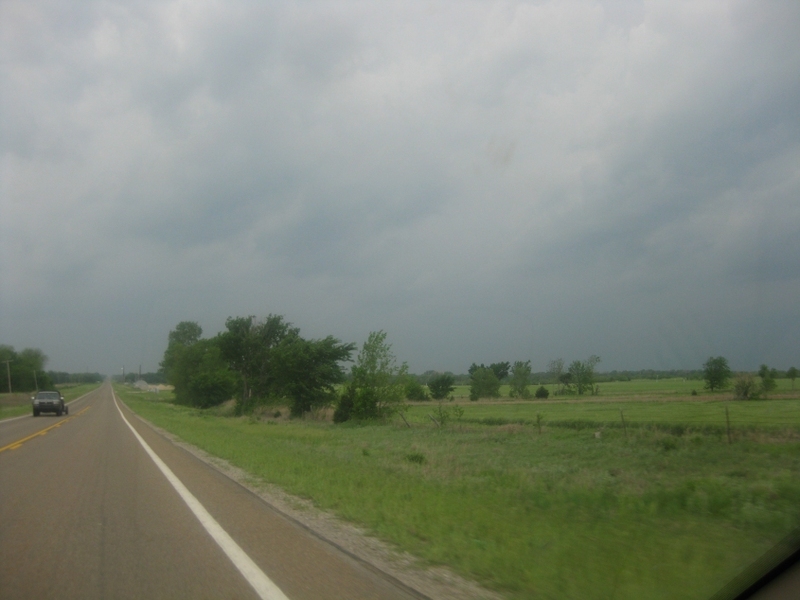 The sky started to bip back up again when we returned to Oklahoma. This had potential, but it also ended up with a very limited payoff.